Dr. Haydon has refined his surgical skills for many years, and he is committed to helping patients achieve beautiful results. As one of the best cosmetic and reconstructive surgeon in Austin, Dr. Haydon is highly skilled in surgeries of the breasts. He performs breast reconstruction surgery both immediately after mastectomy, or after the patient is released from their general surgeon. Dr. Haydon continues to be committed to providing cancer patients with aesthetically pleasing reconstructive procedures, which contribute to a heightened self-esteem. Since 2003, Dr. Scott Haydon, a board-certified plastic surgeon, has been serving the Austin and Central Texas area in cosmetic breast (augmentation, lift, reduction, and implant exchange) and breast cancer reconstruction surgeries. 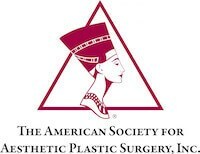 He holds memberships in numerous organizations, including the prestigious American Society of Plastic Surgeons (ASPS), and the American Society of Aesthetic Plastic Surgery (ASAPS). He was recognized in 2013 as one of the “Top 100 Surgeons” on RealSelf.com, a highly-utilized review site regarding plastic surgeons across America. Dr. Haydon also has vast experience in several other facets of cosmetic surgery and body contouring, including the mommy makeover, liposuction, abdominoplasty, and facial rejuvenation. He utilizes the latest technology and employs advanced surgical techniques to provide his patients with enhanced health and self-esteem. As a medical student, I started doing wound healing and research at the Shriners Hospital. This led to an exposure to not only burn reconstruction, but also craniofacial surgery like cleft lip and palate repair. My introduction to aesthetic surgery was in Dallas during my fellowship at UT Southwestern. I became enamored with the creativity and artistic component to cosmetic procedures. The quest to perform perfect surgery is my daily challenge. What are the most popular procedures (surgical and non-surgical) that your patients are asking for right now? Combination procedures such as tummy tuck with liposuction coupled with breast augmentation with a lift are becoming the norm. Since anesthesia is so much safer now, we are able to do these longer cases and improve multiple areas. This result is a much more balanced and harmonious result. Our facial and vaginal rejuvenation laser therapy provide remarkable results with minimal downtime. The O-shot and implementation of PRP (platelet rich plasma) has definitely been worthwhile to our patients. How do you envision aesthetics changing in the next 10-15 years? I think people will be doing things at a younger age. People will start thinking about face lifts and eyelid procedures in their 50s while competing in the work place. The advantage is that the skin and underlying structures are better and so outcomes are better and longer lasting. There will less of the “overdone” look. Botox and other fillers will also likely become more popular in younger age patients to act as a preemptive strike on aging. Appointed Chairman of the Senate, Student Government, The University of Texas Medical Branch, 1992. Kenkel, J.M., Rohrich, R.J., Haydon, M.S. Discussion: Blood Loss in Major Liposuction Procedures: A Comparison Study Using Scuction-Assisted vs. Ultrasonically-Assisted Liposuction. Plastic Reconstructive Surgery, 2001. 108(1): 248. Rohrich, R.J., Haydon, M.S. Discussion: Body Mass Index: Risk Predictor for Cosmetic Day Surgery by de Jong. Plastic Reconstructive Surgery, 2001. 108(2):562. Haydon, M.S. Rohrich, R.J. Management of the Breast Explantation Patient: Technique and Breast Reshaping. Operative Techniques in Plastic and Reconstructive Surgery, 2000. 7(3):150. Heggers, J.P., Haydon, M.S., Robson, M.C. Pseudomonas Aeruginosa Exotoxin A: Its Role In Retardation of Would Healing. The Lindberg Award. J. Burn Care Rehab, 1992. 13: p. 512-518. Haydon, M.S. A Rabbit Model for Capsular Contracture – Development and Clinical Implications. 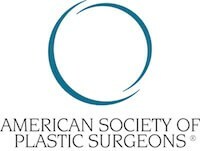 Presentation at The American Society for Aesthetic Plastic Surgery. May, 2002. Haydon, M.S. A Rabbit Model for Capsular Contracture – Development and Clinical Implications. Presentation at the Texas Society of Plastic Surgeons. San Antonio, TX, September, 2001. Haydon, M.S. EIF4E in Solid Tumors. Presentation at The Louisiana Chapter of the American College of Surgeons. New Orleans, LA, January, 1999. Haydon, M.S. Role of EIF4E in Malignant Transformation of Head and Neck Tumors. Presentation at The American Society of Academic Surgeons. Seattle, WA, October, 1999. Haydon, M.S. Role of EIF4E in Malignant Transformation of Head and Neck Tumors. Presentation at The American Society of Oral and Maxillofacial Surgeons. New Orleans, LA, September, 1998. Haydon, M.S. Measurement of Bladder Pressures in Gastroschisis as an Adjunct in Abdominal Wall Closure. Presentation at The Louisiana Chapter of the American College of Surgeons. New Orleans, LA, January, 1997. Haydon, M.S. Pseudomonas Aeruginosa Exotoxin A: Its Role in the Retardation of Wound Healing. Presentation at the 24th Annual Meeting at the American Burn Association. Salt Lake City, UT, April, 1992.